Ugly. 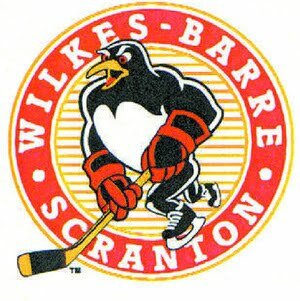 Wilkes-Barre and Norfolk obviously had an old score to settle at the beginning of this contest, and they will certainly have one in the next. Norfolk took advantage of a stagnant 1st and 2nd period WBS team before holding off a valiant 3rd period comeback all while the game just continued to get uglier. With 4 fights in the first 2 minutes, this game was on a crash course to disaster right from the start. Kevin Veilleux started the game off by beating down Tim Marks 2 seconds into the game. Then it was Jesse Boulerice's turn to rumble with Pierre Labre 2 seconds later. Then it took less than a shift for Zach Sill to engage with Chris Durno, and Eric Tangradi and Radko Gudas scrapped at the 2 minute mark. 54 PIMS in the first 2 minutes is never a good sign, but it would only be the tip of the iceberg. Then Norfolk turned on the heat and started to light up Theissen and the helpless defense of the Pens. Matt Fornstaro scored a powerplay goal at the 5:20 mark of the 1st to give Norfolk the intermission advantage of 1-0. There was a scrap around the 8 minute mark, but no fighting majors came out of the scuffle. Eric Tangradi did tie up the game midway through the 2nd, but then things went sour in a hurry for Theissen and the Pens. Paul Szczechura, Mark Barberio, and Troy Milam scored in a 3 minute span to seize the lead of 4-1. Honestly, Theissen should have probably had all of these shots but equal responsibility goes to the defense that allowed the shooters essentially free reign. The hostility was visible in the 2nd, but it was at its lowest point. The one time things really reached a boiling point was after Brett Sterling was pulled to the bottom of a pile by Mike Angelidis. Both players had to be restrained, then a verbal war started between the penalty boxes, and both received 10 minute misconducts. The third really looked promising, and for a while it appeared the Pens were on the verge of one of the greatest comebacks in team history. Eric Tangradi cut into the lead first with a stuff-in rebound past Desjardins. Then Kevin Veilleux made it interesting when he picked up the puck from Nick Johnson and calmly skated his way into the zone. The defense did not know which direction to guess and Kevin patiently deposited it into the twine. Then Joey Haddad "completed" the comeback with his 1st AHL goal of the season to send the Mohegan Sun Arena into a frenzy. But that ecstasy would be short lived, as Radko Gudas put Norfolk up in the final minutes of the period. The Admirals would add an empty netter and a late goal that was almost as easy to stretch the final score out to 7-4. But of course all the game's hostilities were starting to reach a boiling point. With 39 seconds to go and the game out of reach for WBS, Norfolk decided it would be a good time to fight with Robert Bortuzzo and they tried to strangle him from behind. The Pens took exception to this, and the Ads took exception to the Pens' exception and everyone picked a man and fought. Everybody on the ice was ejected from the game (Angelidis, Berry, Jones, Jackson, Wishart for Norfolk) (Bortuzzo, Sterling, Craig, Johnson, Sneep for WBS). This was absolutely ridiculous on the part of Norfolk. You may have noticed that the names listed above are not the ones you would expect to be in a brawl like this for the Pens, and that is because coach Hynes had no intention of fighting. In fact, the Pens were trying to score when Berry and Jackson decided to take revenge on Bortuzzo for a check (clean hit) that happened earlier in the shift. After this brawl, Boulerice wanted one more shot at Labrie so those 2 dropped the gloves and headed to the locker room with 30 seconds to go. Norfolk did score their 7th goal with 1 second to go and referee Jamie Koharski decided to call the game a second early to avoid a "gong show" because the benches (or whatever was left of them) would have probably emptied on the final faceoff and that would have been a really bad situation. The final tally for this game. 10 fights. 14 total misconduct penalties. A STAGGERING 233 total PIMS (124 Norfolk, 111 Pens) with each side getting whistled for 21 penalties each. Oh, and 11 goals (as if anyone cared about those.) The one good stat for the night is that it was a near sellout crowd in Mohegan Sun Arena with nearly 8000 in the house. Pens head to Atlantic City tomorrow afternoon and they hope to have a day at the beach against the lowly Albany Devils, but you never know. One final thought: The Pens and the Admirals square off 5 more times after this weekend. I wish that number was higher, because Norfolk is very much beatable and they are also nipping on WBS's heels in the standings now. The next meeting between these 2 will be New Years Day, and Tom Grace can be quoted as saying: "We'll have our own instant winter classic by the time that one's over." I'm inclined to agree.